Hey everyone. I hope you all got your fill of both turkey from Thanksgiving (if you’re from the U.S.) and Championship Points from these seemingly very easy League Challenge tournaments. I myself have only made it to a single League Challenge (I’m taking most of the year off to do coverage), but managed to get fourth at that event with Hovertoxin (Darkrai/Garbodor). While I haven’t been playing in tournaments as much as I normally would be around this time of the year, I have been dedicating just as much time to testing. Today we’re going to talk about one of the more interesting and hyped decks of the past few months, Rayquaza EX/Emboar LTR. The deck has been performing pretty decently around League Challenges and City Championships, but it had been getting hype from various sources all the way back to Nationals of this past season, so I’m sure most of you have heard of it by now. I’m going to throw out a few different lists, give my personal take on the deck and quickly talk over its matchups. As always, if there’s something I didn’t cover or didn’t go in-depth enough about, please let me know in the comments section and we can discuss it there! No Shell Shield, but at least it has 70 HP. 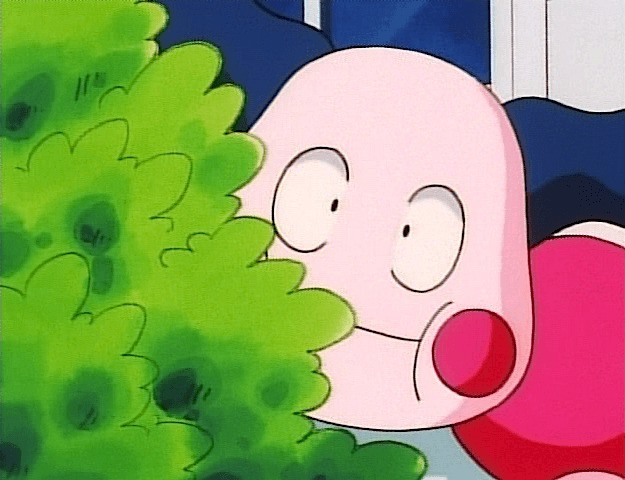 Tepig lacks Shell Shield. Shell Shield is one of the many small advantages that Blastoise gets that puts it over the top, and unfortunately Emboar’s previous evolution and the deck’s equivalent to Squirtle lacks this. While this is mainly a problem dependent on your metagame, both Darkrai EX based decks and decks with Genesect EX are wildly popular (and Landorus EX still sees a little bit of play as well), so it could very well turn out to be an issue. 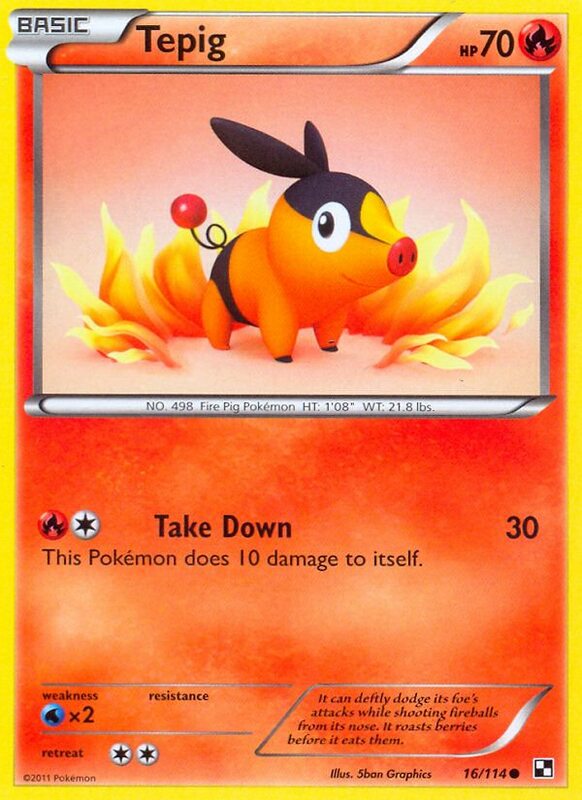 Luckily for us, Tepig has 70 HP, meaning that most of the aforementioned Pokémon can’t reliably KO it in two hits. Emboar has better type advantages. Now that Landorus sees less play, Keldeo doesn’t really have anything to play the Weakness game with, and while Black Kyurem EX PLS is an incredibly strong card, most Dragon type Pokémon can more efficiently KO it due to the strenuous Energy requirements of Black Ballista. Emboar, on the other hand, has access to Fire Pokémon as backup attackers, which can put a damper on any Virizion-based decks plans. 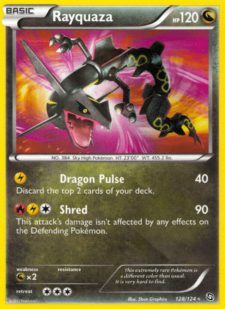 Additionally, if Blastoise becomes an issue, we as Emboar players can start playing Rayquaza DRV to more advantageously trade-off with Black Kyurem EXs. Emboar is a worse attacker than Blastoise. While this shouldn’t come up too much, it’s true that if you get into a sticky situation (such as facing down a Safeguard Pokémon, or if you’re just plain running badly), you can count on Blastoise more than Emboar. Blastoise has the ability to go “infinite” with its damage, even if it does take a lot of work and resources to get there. However, this is often mitigated by the fact that you can play other non-EX attackers such as Reshiram NXD to stand in place. Rayquaza is a heavy investment, but can go bigger. What I mean by this is that while attaching 4 Energy to a Black Kyurem EX will give you 200 damage every time and the same amount of Energy will only deal 180 from a Rayquaza, you also have the ability to do nearly infinite damage with Rayquaza if you draw enough Energy. This board state doesn’t come up too much, but there are certain situations, such as a Tornadus EX with an Eviolite attached and an Aspertia City Gym in play, where this extra damage will be helpful. No Keldeo EX. One of the biggest advantages that the Blastoise deck has is Keldeo EX, both as an attacker and for its Rush In Ability. 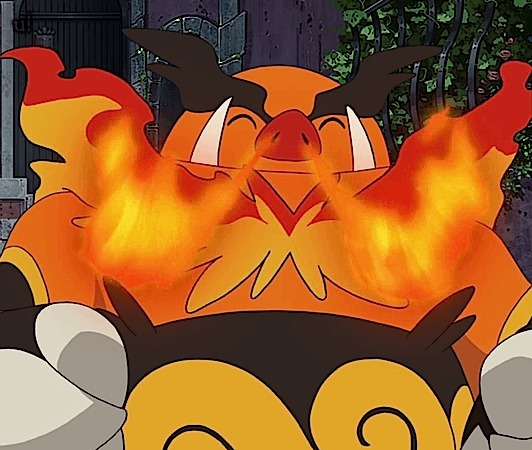 With Emboar’s hefty 4 Retreat Cost, having a card that could get you out of sticky situations like that would be amazing. As we’ll see, you can fit in Keldeo, but it will take some sacrifices to make it work. The fact is that most lists aren’t running it, and therefore are at a huge disadvantages to Catchers or anything of that sort, and have to resort to running traditional switching cards like Escape Rope, Float Stone, or, well, Switch. One of the main reasons the deck works now. I obviously always want more than 3 Tepig, but I’ve found that in a format with no Pokémon Catcher or first turn attacks you can get away with it, especially with the inclusion of the 1 copy of Pignite that is there as a concession to how well Gothitelle decks have been doing lately. If you can find a way to fit more I applaud you, but I’m not sure they’re 100% necessary for now. Reshiram NXD is one of the best backup attackers you can have, as discarding the Energy is likely irrelevant the majority of the time as you have so many Energy retrieval cards, and doing 120 with a non-EX Basic Pokémon is basically the reason that Bouffalant is so darn good. Additionally, Outrage has always been a good attack and can put your opponents in some poor positions if they don’t know how to play around it. Any disadvantage it gets from being weak to Kyurem PLF and Keldeo EX it makes up for by one shotting Genesect EX, Virizion EX, and Tropius PLB. 2 Escape Rope/1 Switch is mostly preference, but I think 3 switching cards is correct. I feel like a lot of the time you can end the game with a well-timed Escape Rope, forcing the opponent to promote something they’d rather keep on the Bench. 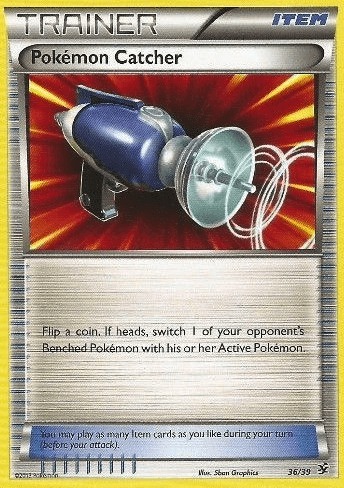 This is especially useful against Virizion/Gensect decks that will try to beat you with Mewtwos and Bouffalants, as well as Blastoise decks where you might force them to promote a Blastoise or a Black Kyurem while they’re trying to use Keldeo EX to score the majority of their KOs. Other than that I don’t think there are really any surprises in the decisions being made, and I’ve found that most of the lists I’ve seen around the internet are within a few cards of this. Special thanks to Zach Fisher for help with the initial list, and his thoughts on the deck in general. The first change you’ll note is the inclusion of Keldeo EX, which as I mentioned earlier is one of the advantages that Blastoise has that Emboar doesn’t. I decided that there was no real reason why Emboar couldn’t enjoy that same luxury, and after a solid amount of testing I’ve concluded that Keldeo EX is very good in the deck. Not only can it save you from poor Hypnotoxic Laser or Catcher situations, but it’s also one of the most efficient ways to KO Flareons and opposing Reshirams. Little Rayquaza is mostly there because I think Blastoise is the most objectively strong deck in the format right now, and also think that Emboar itself is very good and expect it to see a lot of play. Rayquaza gives you an efficient, non-EX attacker against these decks, specifically verus Black Kyurem EX and Rayquaza EX. On a slightly less important but still relevant note, it is probably your best defense versus Garchomp DRX 90, which has been seeing play in some areas and heavy play online. 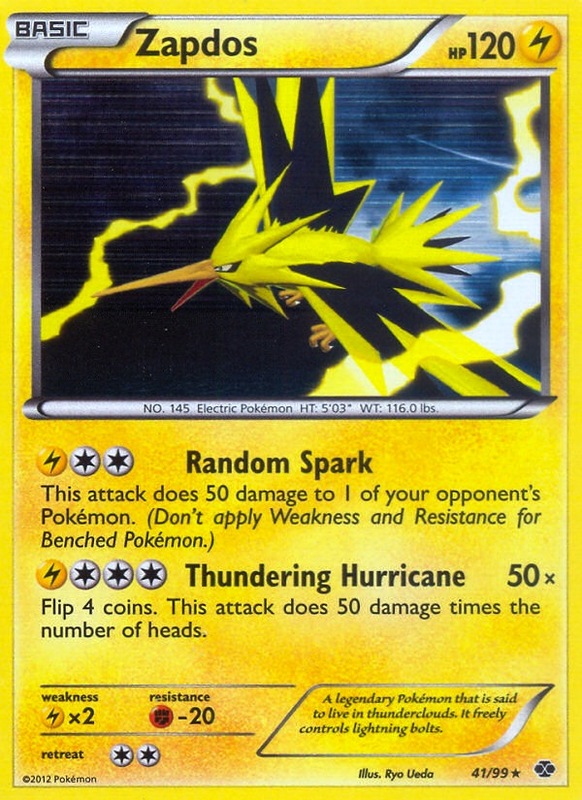 Zapdos is a card that I’ve loved since it was originally printed in Next Destinies, when my friends (mostly Amelia Bottemiller) and I tried to make it work in various decks to KO Tynamos on the Bench. In fact, I think the first deck we put it in was a Reshiram EX/Fliptini deck that turned out to be awful. Still, I think Zapdos is very well-positioned right now, mostly due to the fact that it can snipe Duskulls in the Empoleon deck (Darkrai/Dusknoir sees some play as well). Additionally, if you get into a tough spot for whatever reason, Thundering Hurricane can do 200 damage if you’re very lucky, or more reasonably has a 50% chance of one-shotting Empoleon. Both of these facts are relevant as Empoleon isn’t the best matchup for us, as we’ll talk about in just a moment. In order to make room for all of these new additions I cut an Exeggcute, a card that I feel is not entirely needed anyway. While it’s nice and I would run it as my 61st or 62nd card, I think that with this type of list having the raw options is more relevant. Additionally, Hypnotoxic Laser/Virbank City Gym on turn one from an opponent going first is still a thing, unfortunately. Moving onto the Trainers you’ll find that our switching cards are now replaced entirely with Float Stone. While I think its very reasonable to want to run 1 Float Stone and 1 other switching card, or whatever combination you like, there is often not enough room to run everything that you need and I very much prefer the mono Float Stone plan. 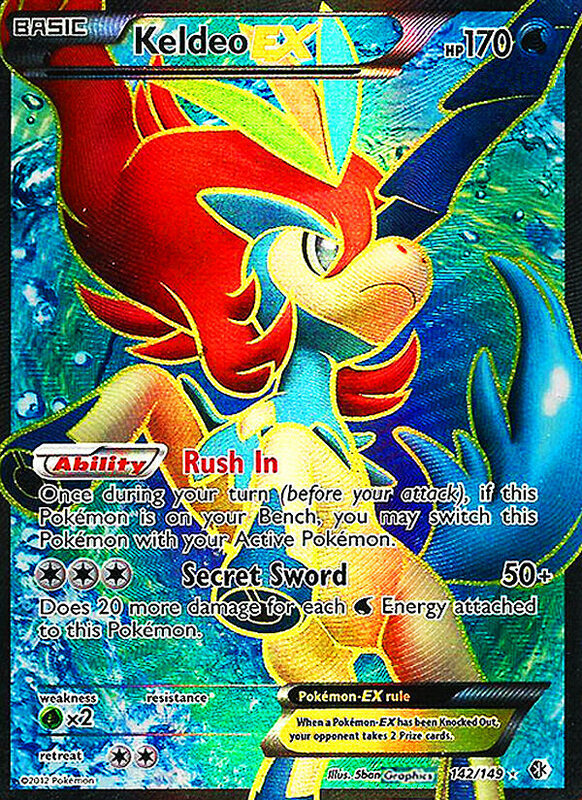 It gets you out of trouble in times when you don’t have a Keldeo EX, and in times when you do it’s amazing. You should never have two attached at the same time so Tool Scrapper shouldn’t be too much of an issue, and with Keldeo it’s not even 100% necessary since its Retreat Cost is only two. A Heavy Ball replaces Level Ball from the standard list, as a concession to playing Rayquaza DRV. Both cards are good here but when we replace a card that Level Ball finds in Exeggcute with a card that Heavy Ball finds in Rayquaza, the decision is obvious. That being said, Level Ball also holds more inherent importance within the deck to find Tepigs for your eventual Emboars, but I think your search and draw is already consistent enough that a field without Tepigs should be a rare occurrence. The Energy stays the same as there’s not really much to cut, considering that you want as many Fire as possible and it wouldn’t make sense to cut a Lightning while adding another Pokémon that uses it in Zapdos. It looks kind of like a beach ball… that’s got to count for something. With the average price of Tropical Beach nearing $200, I know that not everyone can afford to shell out what likely amounts to a month’s rent just to play Pokémon cards, especially with the increase in the number of tournaments held per year and the introduction of tournament entry fees. The goal with this list is to allow you to play Emboar without having to break the bank to do so. Please note that in my opinion this list will be suboptimal when compared to the lists that include Tropical Beach, but I do think that this list could see some real success based on the raw power of the deck. If you have the ability to obtain Tropical Beaches and are expecting to play competitively for the next year I would advise you to do so, but I don’t think anyone can really fault you for not being willing to dump that kind of cash on them. The biggest difference here is that we’ve swapped out the 4 Tropical Beaches for a 2-2 line of Electrode. Electrode provides draw power at all stages in the game, but is especially crucial later in the game when you’ve exhausted your hand or have been N’d into 1 or 2 cards. In all honestly, prior to testing this list for this article I wasn’t a big fan of Electrode and thought that it was just a budget option that couldn’t really work. After playing with it my opinion has changed entirely and I’m even working on a few decks that include both Tropical Beach and Electrode! The biggest downside to ‘Trode is that you can’t use him on the first turn, which is often when Beach is most effective. Your ideal start is to drop multiple Tepigs on the Bench and either draw a Beach naturally or search one out with Skyla, play it, and then draw a new hand of cards, hopefully in a combination which allows you to get turn 2 Emboar/attacker out. Without this power the deck is severely limited, but considering you’re only a turn behind at that point, it’s certainly not something you can’t live without. I tried working on a list for a while that used more discard outlets to fuel Electrode even further, having more of a focus on Ultra Balls and the like, but unfortunately it didn’t work out as well as I would’ve liked. I just don’t think there’s as many discard options as you’d like there to be, in addition to the fact that most of your cards are important and not ones that you’re 100% fine with discarding. I’ll probably play this list a bit more online in the next few weeks and if anything changes I’ll make an update in my next article, but at this point I’m not too hopeful. I also added more Supporters as I feel like you’re going to need more draw power in general. A turn 2, 3, or even mid-game Beach isn’t a rare sight to see and while you don’t have that, hopefully the combination of Electrode and a few more Supporters will be able to get you where you need to be. As I’ve talked about in the past, I think in a deck like this you want to be playing Juniper/Skyla/N/Colress and probably not much else. The numbers do matter in that I think you need 4 Juniper and 4 Skyla, but in all honesty you could change around the N and Colress counts to just about whatever you wanted. I picked the combination I like the best and the one that I think gives you the most edge versus everything, but it’s possible that a change here or there isn’t going to hurt. That’s about it for the major changes. As a small aside, I really think that right now is one of the best times for new players to enter the game. You’ve got a wide array of decks in basically every archetype you could want, control decks like Hovertoxin, goodstuff decks like Hydreigon and Virizion, raw power decks like Emboar and Blastoise, etc., etc., and tournament prizing is objectively better than it has been in the last several years, but the price of Tropical Beach is just too insurmountable for some players. This article isn’t about Beach though and I’m certainly not the first person to write about how bad it is for the game. Furthermore I’m not even sure what the answer is, as no matter what you choose someone is going to be unhappy, but I wish that Pokémon could find a way to make Tropical Beach work for everyone. I’ll move on now, but just know that if you don’t own Tropical Beach or are otherwise unhappy with its price tag you’re not alone! Even as someone who owns Beaches I find it atrocious. Shreds even more than Eddie Van Halen. This matchup really comes down to whether or not you run Rayquaza DRX and Super Rod. 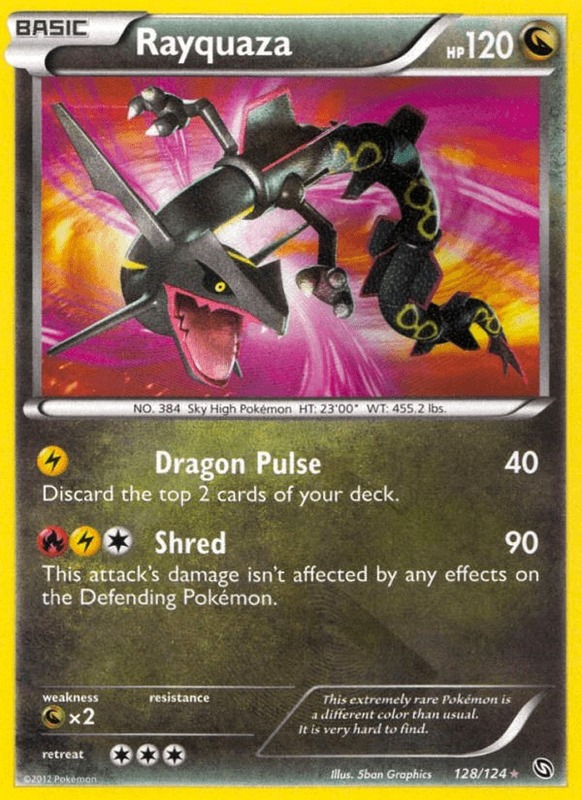 Ray keeps their Black Kyurem at bay, forcing them to attack with Keldeo EX which, while a fine attacker in itself, requires them to commit much more Energy to it than they normally would, and still gets one-shot by a Rayquaza discarding 3 Fires. If you choose not to run the Little Rayquaza it’s going to come down almost exclusively to who gets set up first and who can maintain their setup the longest. Whoever goes first is likely to win as long as they don’t stumble mid-game. Luckily, even if you go second you still have a fair shot at winning (especially if your opponent doesn’t get the turn 2 Blastoise/Emboar) if you can time your Ns well. 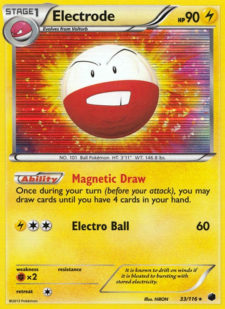 As long as your opponent isn’t able to power up two attackers in one turn, a well-placed N to 2 or 3 can spell trouble, especially in the non-Electrode versions. For the sake of brevity we’ll say that these are the same guidelines you should follow for the mirror match, as it’s nearly the same exact concept. The fact that almost their entire deck is weak to Emboar and Reshiram will require them to try and fight you with Bouffalants and Mewtwos, which you don’t really care about because Reshiram trades just fine with Bouffalant and Mewtwo isn’t a bigger problem than any random EX is versus Rayquaza EX. One way you can lose the match is by not being careful enough. Leaving too many Energy on a Rayquaza EX, Little Ray, or Reshiram at anytime is just asking for a Mewtwo to punish you, and committing too many resources into KOs on non-EXs like Bouffalant is going to lead to late game Ns that can put you in a bad spot. If you play conservatively and think things through you should be able to win the majority of the time, though. Of course, the other way you lose, as can happen in this format, is just not getting set up. If they go first, attach, lay some Basics and pass, it’s very easy for them to get the Turn 2 Emerald Slash into a Plasma on Genesect to Red Signal up your Tepig for KO. Rinse. Repeat. Hopefully with a consistent list and best-of-three matches this won’t happen too often, but variance states that it will happen a nonzero amount of the time. Still, if the only way I lose is by not getting set up, making bonehead mistakes, or my opponents getting very lucky, I’ll take that every time. There’s not really much more you can ask for and in the end I would be elated to play against Virizion every round at every tournament I play with Emboar. You better hope your Mime doesn’t hide. I think that you might actually be slightly favorable in this matchup, but in practice I’ve found it to be about 50/50. From what I’ve tested it largely depends on how many non-EX attackers you have access to and how quickly you can find your Mr. Mime. Although Tepigs have 70 HP, if you’re slow to get out an Emboar or play a Mime the KOs will start rolling in earlier than you think. Additionally, their luck on Hypnotoxic Laser and Pokémon Catcher flips is going to come into play in a big way here. Much like the Blastoise versus Darkrai matchup, you as the Emboar player are a turn or two slower and if you factor that into the fact that they can get a turn 2 Night Spear + Catcher on a Tepig or just stall you out with Hypnotoxic Laser while you struggle to find a Switch or Escape Rope, it’s easy to see how easy it is to lose. However, you’re still not disadvantaged at all, especially if you go first and get a reasonable setup. Darkrai relies strongly on being able to spread damage around and be the most efficient deck and if you can force them to have to two-hit non-EXs their plan can crumble very easily. From there the game can get to a point where they have 1 Darkrai left, maybe not even fully-loaded with Energy, while you’re still sitting on 2 Rayquaza EX ad handful of Superior Energy Retrievals ready for one-shot city. Cutting off your Abilities is bad, and what’s even worse is preventing you from getting even one attacker manually set up via Crushing Hammer and Hypnotoxic Laser. 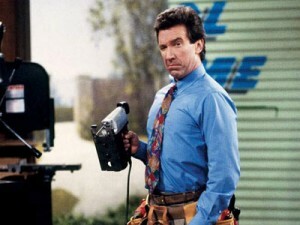 Obviously your best bet is going to be to play your Tool Scrapper(s) at the right moments, but if they get a controlling enough start against you it’ll be tough to get ahead in general. If you do manage to have a free turn or two to use Abilities, make sure that you power up multiple Pokémon, at least one of them not named Rayquaza EX. Loading up a Zapdos and/or a Reshiram and going to town can often be your best bet as you want to be discarding as few Energies as possible each turn. The spark plug versus the penguin. Empoleon is the matchup I’ve probably tested the least as it seems no one on PTCGO has the cards for a decent Empoleon build and I don’t play as much IRL as I would like to, however, I’ve played enough and thought about it enough to understand that it’s an inherently unfavorable matchup that you can swing with the inclusions of the right cards. It’s inherently unfavorable because you are a deck that tries to do 180 damage three times for the game, and you can reliably do that given your Energy counts, Superior Energy Retrievals, and attacker counts. However, when you are forced to do this six times in a game it becomes very hard if not impossible altogether. Additionally, Empoleon is just out of the damage range for Reshiram and Rayquaza DRV. Lastly, they do have the ability, via Dusknoir, to KO your Emboars, putting an incredible amount of pressure on you to somehow keep Emboars out while not getting their Basic forms KO’d by that very same Dusknoir turn in and turn out. However, not all hope is lost! If you play the Zapdos tech you’re in pretty good shape as you can one-shot Dusknoirs and put pressure on Empoleons. You also have a number of techs at your disposal that can help swing the matchup, my favorites of which are Max Potion and Zekrom PLF. Max Potion allows you to play around Dusknoir tricks by clearing large amounts of Energy off of the board in a single turn (and you can buy it back with Dowsing Machine!) and Zekrom lets you one-shot an Empoleon while being just outside of its typical KO range. The decision that you’re forced with is to ask yourself how important is the Empoleon matchup to you? If you expect lots of Empoleon in your metagame (aka in an 8 round CC with a Top 8 you expect to play it more than once in Swiss and would expect more than one copy in the Top 8) then I would tech accordingly, however, if you expect it to be underplayed then don’t worry about it at all and take pride in your consistency! I feel like Plasma is a hard deck to know any specific matchup against because it is so explosive and has so many options available to it. Plasma is usually a turn or two faster than you, but you make up for that in being able to KO their Kyurems pretty easily, in turn their Kyurems are good against most of your non-EX attackers and put pressure on your Tepigs, in turn you will have to KO their Kyurems (aka their main attackers) with EXs the majority of the time but should win that trade in the end, that is unless they have Bangles and 3 Deoxys out and are able to stream Kyurems in which case it can be difficult for you, but on the other hand they can’t keep that going forever and are more likely to run out of decent attackers before you are. …All of that adds up into what I feel is solidly a 50/50 matchup that is largely decided by draws. Probably close but slightly unfavorable. Gothitelle is a deck that only popped up on my radar at the time of my writing this, as Henry Prior performed pretty well with it during the Indianapolis Cities Marathon. Because of this I didn’t get a chance to test it too much, as I figured the deck would be underplayed because of the presence of Virizion in the metagame. 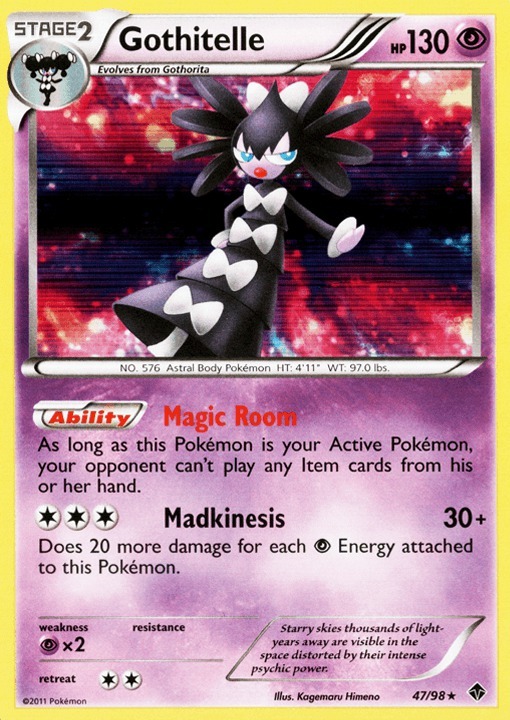 However, I know enough about the Gothitelle deck to give a hypothesis, which is that I think it depends on whether or not you play Keldeo EX, how fast you can stick a Keldeo EX with a Float Stone, and how quickly the Gothitelle deck can get set up. Obviously Gothitelle has a perfect lock with Dusknoir, meaning that if they get everything set up they will win the game, but the nature of the deck is going to allow for small windows for you to take advantage of, assuming that they don’t go off very early. All in all I think the matchup is probably slightly unfavorable to even depending on your deck list, but I wouldn’t ever be happy to play against Gothitelle. I love the deck but it’s a pain to play against and there’s a chance you’re never even given an opportunity to play the game, much less win. That’s all I’ve got for today. I hope that you now recognize the strengths and weaknesses in the deck and can consider playing with or against it in preparation for the upcoming City Championships (and Winter Regionals). I think the deck has a lot of good matchups and can be a contender in the right hands and metagame. As always, please check out On The Bubble at Facebook.com/OTBPokémon for all of your streaming needs. We’ve been doing streams of LCs and Cities almost every weekend, so like us on Facebook if that sounds like something you’re interested in.